Biceps femoris is a muscle of the posterior compartment of the thigh, and is located in the posterolateral part. It belongs to the hamstring group. Superficial head which is referred to as the ‘long head’. Deep head which is referred to as the ‘short head’. 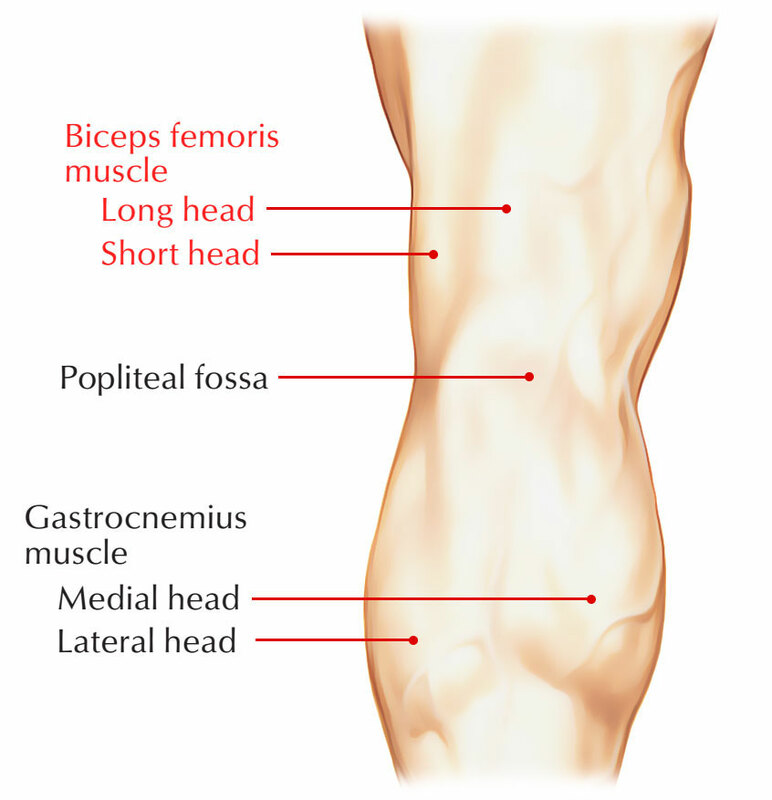 The short head of the biceps femoris emerges via the lateral intermuscular septum, at the posterolateral side of the shaft of the femur, and on the lateral margin of the linea aspera. The short head of the biceps femoris has five main parts in the knee. The first part consists of the primary muscle body that connects to the medial part of the long head of the biceps femoris primary common tendon and also trails off the posterolateral part of the distal femur. 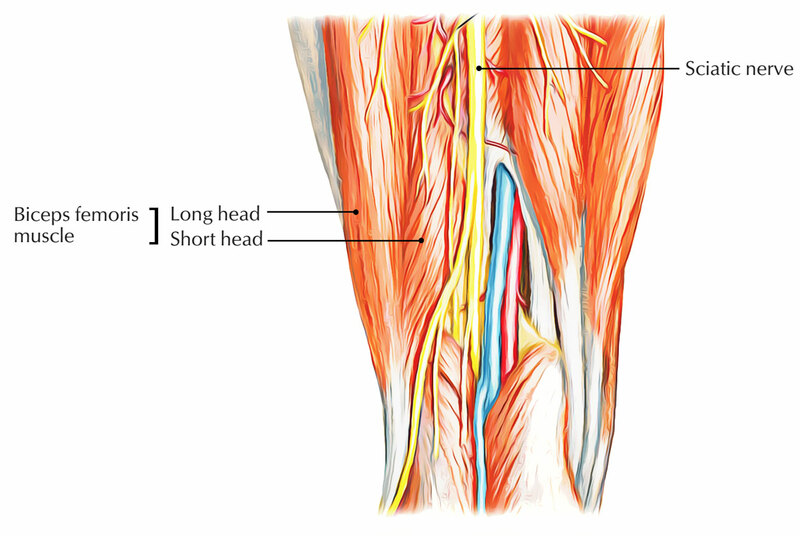 It afterwards has a tendinous connection along with the main common tendon that transforms into the direct division of the short head of the biceps. 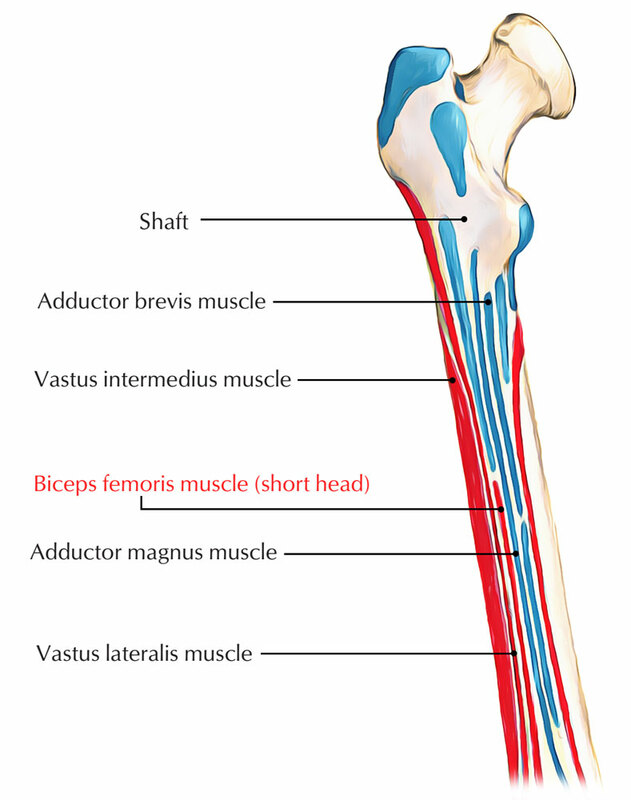 This tendinous connection via the short head of the biceps femoris attaches just lateral towards the tip of the fibular styloid. There is a quite thick as well as bulky capsular arm that routes towards the posterolateral joint capsule as well as the lateral gastrocnemius tendon, just proximal towards its tendinous attachment. This component is referred to as the capsular arm. The more distal part of the capsular arm connects to the tip of the fibular styloid and also connects proximally towards the part of the fabella at the lateral gastrocnemius tendon. 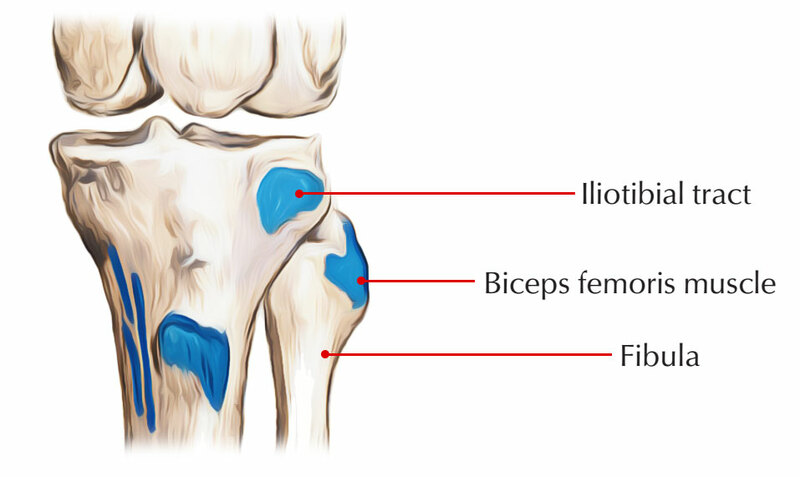 The much more distal part of the capsular arm of the small head of the biceps femoris is the fabellofibular ligament. The fabellofibular ligament is considered to become very strained within extension as well as very loosened in flexion. It has been considered to have the greatest irregularity between the posterolateral corner constructs; but, its irregularity is primarily within the total width of the tendon as well as not within its true presence. Innervation is through the sciatic nerve (peroneal branch), sacral plexus, as well as roots L5, S1 & S2. The point of attachment is on the head of the fibula. There is a fine aponeurosis which passages via the short-head biceps tendon to the posterolateral part of the FCL, simply distal towards the capsular arm of the short biceps femoris. This structure is the short biceps lateral aponeurosis and lastly, an anterior arm of the short biceps femoris exists, that runs medial to the FCL as well as connects to the posterior part of the meniscotibial part of the mid-third lateral capsular ligament, distributing a common connection area along with the capsule-osseous layer of the iliotibial band. Flexion of the knee mobilizes the muscle. The short head of the biceps femoris does not go across the hip joint; it cannot support hip extension, but it is able to serve as a lateral rotator of the leg. Neurogenic changes on needle examination might be observed along with lesions of the peroneal branch of the sciatic nerve, sacral plexus, as well as L5, S1 or S2 roots. This is the one and only muscle within the thigh innervated by peroneal branch of the sciatic nerve. If neurogenic EMG alterations exist in this particular muscle, the lesion should be on or proximal towards the mid-thigh. This muscle is of considerable significance within the electrodiagnostic assessment of peroneal nerve lesions since it is crucial in describing the proximal degree of the lesion.